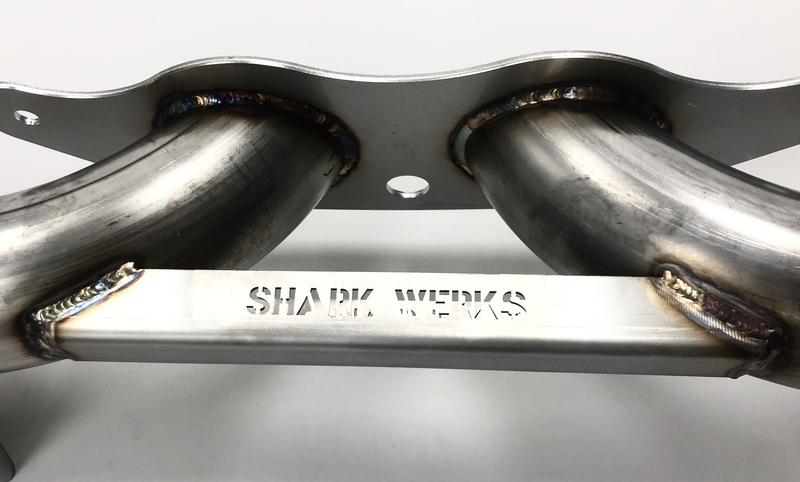 The new Shark Werks GT3 / GT3 RS Muffler Bypass System which has been designed, developed and tested on the Shark Werks 2007 997 GT3RS (ZKERMIT), dramatically improves the sound of any 997 GT3 or GT3 RS, including the 2010+ MkII models and the GT3 RS 4.0 (click here for video). From day one, we felt the single biggest let-down with the car was that it was just too docile and quiet. 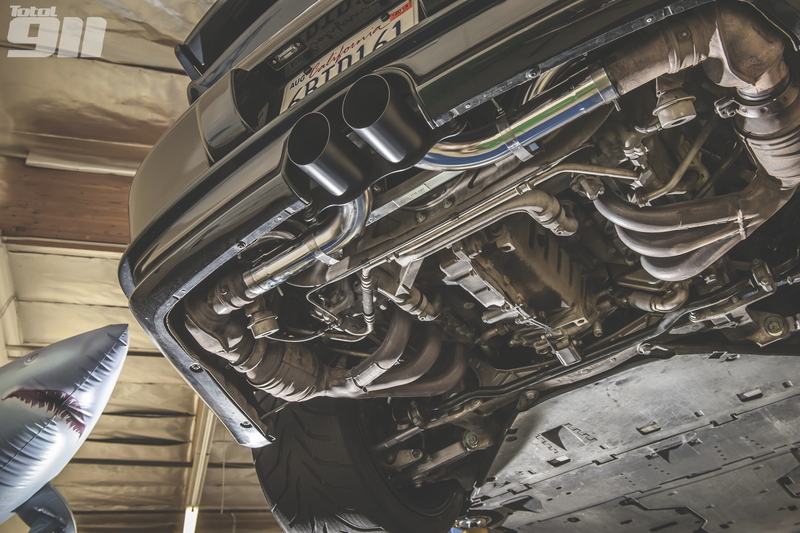 This is in large part due to the strict sound-level restrictions in Europe and hence the factory deemed fit to equip these cars with a total of three mufflers! 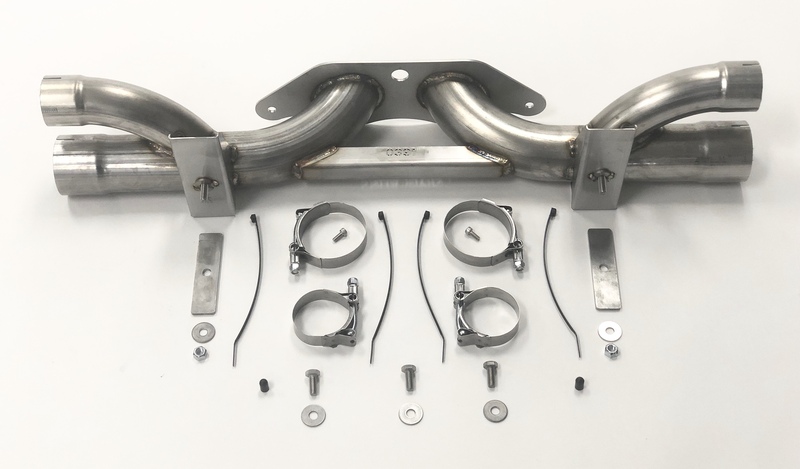 With our Muffler Bypass System we believe we have addressed that and not only uncorked the beast that is the GT3 motor but also reduced a real 16 pounds off of the rear end in the process. This has been achieved without sacrificing the drivability or diminishing the aesthetics. There is no noticeable additional cabin drone or resonance. With the Sport button and factory exhaust valves still in place you can drive with our system turned “on” for a more aggressive sound or “off” for daily driving with the flick of the factory sport button. Uncorking the car and listening to her head down the front straight of your favorite track at 8400rpms is something we highly recommend you do. Although we do not guarantee or make any crude horse power claims (let’s face it Porsche did a wonderful job already on this one) we can assure you that you have not likely heard a GT3 sound like this before. Each unit is individually hand-fabricated here in Northern California with high-grade 18-gauge T304 stainless steel. 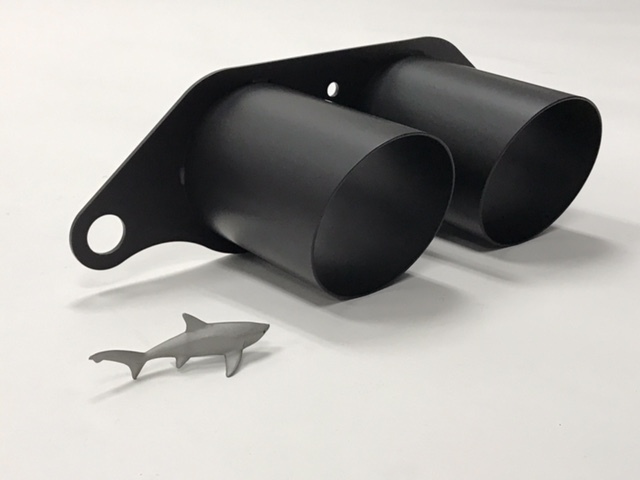 * Optional black ceramic "Hot" coating is available, please specify when ordering if you would like the unit black instead of raw. Use the non-sport mode to allow flow through the side mufflers for minimal additional interior noise and highway or daily driving. 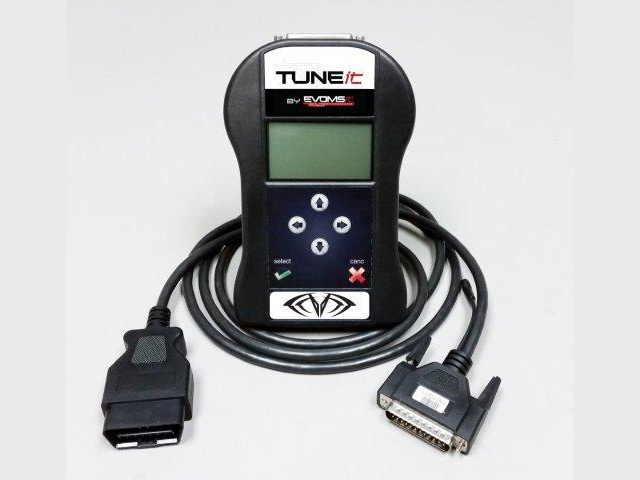 This product is also available for 2010 and newer model GT3s. View pictures of installation on the new GT3 model here. "This system lets you stay smog legal and keep a stock muffler sound for regular driving, but the “sport” button makes the exhaust bypass the mufflers – and sound great!" 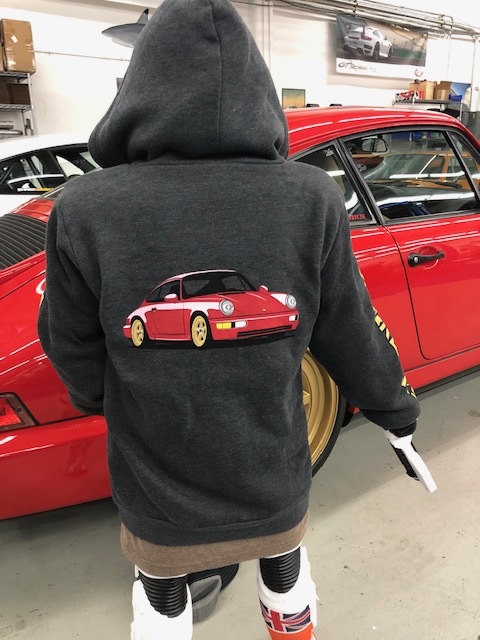 "A SharkWerks exhaust completes the hard parts… the engine roars with a deeper tone than you’d expect from a relatively small engine." "We are treated to a few drive-bys… The sound of this marvelous engine at full chat is blood-curdling, raw, deep but with a brutal edge." 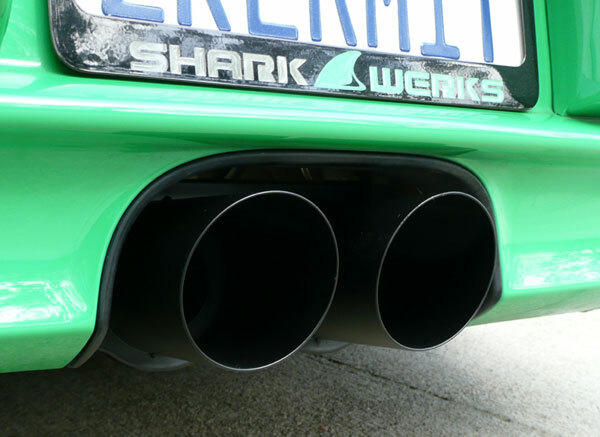 "SharkWerks exhaust bypass ...aurally, it takes the GT3 from Best Factory 911 Noise Ever to an otherworldly song."